Probably the most challenging task when you’re moving house is getting all your fragile goods to your new home in one piece. It’s not just your crystal glasses and family-heirloom china you have to worry about, but mirrors, pictures and lamps also have to be handled with care. It’s pretty obvious, that you can’t just shove your fragile things into a moving box and hope for the best. You need some time and the right packaging materials to pack up your breakable goods. Don’t use old towels (they can’t be secured with tape), newsprint (smudges or marks your china) and paper towel (tears easily) as packaging material. When you’re packing anything with a glass surface – like framed photos and pieces of art – even if it’s going into a moving box – wrap with packing paper, write which side is the glass and mark “fragile glass”. Even if the glass does break, the paper will hold the big pieces together. The same applies to mirrors. Get a good supply of purpose made double walled moving boxes in just two sizes. Your removalists will have specially designed boxes, which you can buy for moving all your items. STEP 1: Try to sort and pack your frames according to size. STEP 2: Line the box with paper. STEP 3: Wrap each frame in packing paper, and stack them as you would dishes in a dish rack. STEP 4: Place a good layer of screwed up packing paper (known as crush in the removalist trade) or bubble wrap between each frame. STEP 5: Pack in more paper on top of the picture frames so that they don’t shift around in the moving box when they’re being moved. STEP 6: Seal the boxes with tape. If you have any over-sized pictures or mirrors, wrap these items generously in bubble wrap and make sure that all the corners are well protected. Indicate on the bubble wrap by marking what the painting is (for your own reference) and which side is the glass on. Indicate clearly “Fragile glass this side” so your removalists can extra care on the moving day. We advise wrapping canvas paintings in paper lined bubble wrap to provide additional protection for the item. Once again it’s really important to clearly indicate “Fragile canvas” as well as indicating what painting it is and which sire the front is on. Glasses and cups are the biggest headache to pack, because they’re probably the items you have the most of. STEP 1: Fill and wrap each glass/cup/bowl etc with packing paper, before wrapping with tape. STEP 2: Place a good layer of crushed up removal paper in the bottom of the removal box for your fragile items to be placed on. This provides great cushioning for the goods and prevents things from moving around on the moving day. STEP 3: Pack one layer of glasses or cups into the box, then cover them with more crushed removal paper. You should also ensure that you use some of the crushed paper on the inner edges of the box to provide additional and maximum protection. Then proceed with adding your second layer of items. The common belief is to use bubble wrap for this process however it is less effective and the cost of it is also considerably higher. STEP 4: Repeat until the moving box is almost full and then add a final layer of crushed paper to the top of the box. Place the heaviest items on the bottom of the box, with lighter pieces on top. The same principles apply when packing plates and dishes as when you’re packing your glassware. STEP 1: Generously wrap each one with packing paper, wrap with tape. STEP 3: Pack like-sized plates and dishes vertically in your box and pack with a good amount of crush or bubble wrap in between and on the edges of the box. STEP 4: Top off with another layer crush and seal the moving box. Whether it’s your everyday supply or a valuable collection, prepping wine for your move also takes some thought. First of all, take stock. Decide whether you want to keep everything. Removalists will have purpose made wine boxes that can transport your wine in top condition. The wine boxes can carry 12 bottles at a time and are stored horizontally. Antiques and collectibles, by their very nature, are irregularly shaped. So invest in a lot of tape and packing paper. Be especially careful when packing objects with handles, as the handles are often the most vulnerable part of the object and the most likely to break. STEP 1: Make use of a lot of crushed paper to line the bottom the removal box. STEP 2: Smother the item in packing paper. Ensuring the paper is scrunched slightly to a better layer of protection. STEP 3: Sandwich it between more crushed paper and then place the piece in a snug-fit packing paper lined box that’s roughly the same size, filling the gaps with crush. STEP 4: Seal up the box with tape and use a permanent marker to label as fragile. The original packaging is usually the best to use, as they have moulded polystyrene for protection. If you threw it out ages ago, pack your sound system / digital box / dvd player in the smallest removal box possible with plenty of padding. 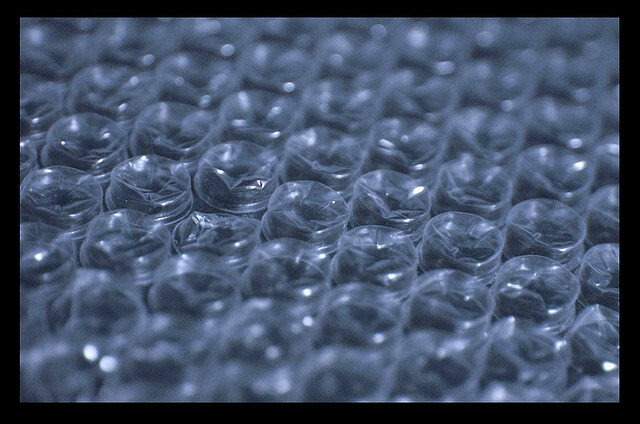 Bubble wrap the TV with a double layer to ensure that no scratches occur on the screen. The removalists will blanket wrap the items on the day of the move and handle appropriately. There are TV boxes on the market but they aren’t good value for money and don’t offer very good protection. Point out your fragile and precious items to the removal team on the day of your move. They won’t have any issues with this and will ensure the right items are being looked after. You know your furniture best. Point out broken hinges, or a chair that has a wobbly leg, so the removalists take more care when moving it to potentially avoid further damage. If it’s a super fragile item, write “top load” or “nothing on top” and again point it out. Your removals team will ensure nothing is loaded on top of it in the truck. The same goes for large pictures and paintings. Removalists never mind people pointing out items needing special care, in fact they prefer it. A lot of your fragile goods are impossible or costly to replace if they are broken in your move. But if you take care in how you pack them from the start, you minimise the risk of any serious damage. You can then savour the pleasure of arranging your possessions in your new home. Enjoy. Image courtesy of Hey Paul, Flickr.